Click to viewA compass that doesn't need a magnetic needle? That might sound impossible, but the ancient Chinese worked out how to make one 4500 years ago. Now you can make one too—from Lego bricks. 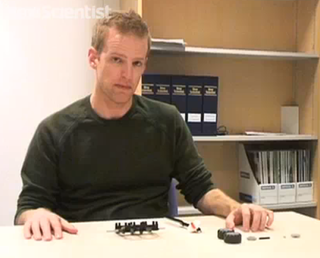 Watch the video above to find out more about the device and see New Scientist's Sean O'Neill build one out of standard Lego pieces. If you'd like to make one of your own, we've prepared a step-by-step guide and parts list; or you can buy a kit from a UK-based Lego shop on the website Bricklink. Clockwork reconstructions of computing devices are all the rage at the moment - read our article about Andrew Carol's Lego Babbage engine or watch another of his creations, a Lego reconstruction of the enigmatic Antikythera mechanism, in action below. Thanks to Andrew Carol for the chariot design, and Nick Barnes for compiling kits of Lego parts on Bricklink.